This is to inform the newly admitted pre-degree and IJMBE candidates that the issuance of admission letter for all the successful candidates has commenced. Read Also: UMYU Pre-Degree & IJMB Admission List and UMYU Pre-Degree & IJMB School Fees Schedule. UMYU Registration Guidelines for Pre-Degree/IJMBE Candidates. Use Google Chrome Browser to log onto: https://www.umyu.edu.ng/preadmission/.The default password for printing admission is “umyusprs”. To print your Admission Letter, click on ‘print admission letter’ link at the left hand side. It is recommended to use a colour printer to print your admission letter. Note that you can only print your original admission letter ONCE. IMPORTANT NOTES: All Pre-degree Students MUST register with JAMB and sit for the 2018 UTME. 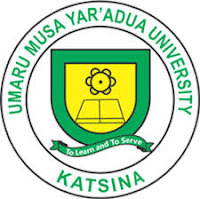 ACCOUNT NAME: UMYU Microfinance Bank Ltd.
All copies of completed forms, payment receipts, credentials and two passport photographs are to be submitted to the School of Predegree and Remedial Studies, Umaru Musa Yar’adua University, Katsina, after successful completing of STEP 1-2.